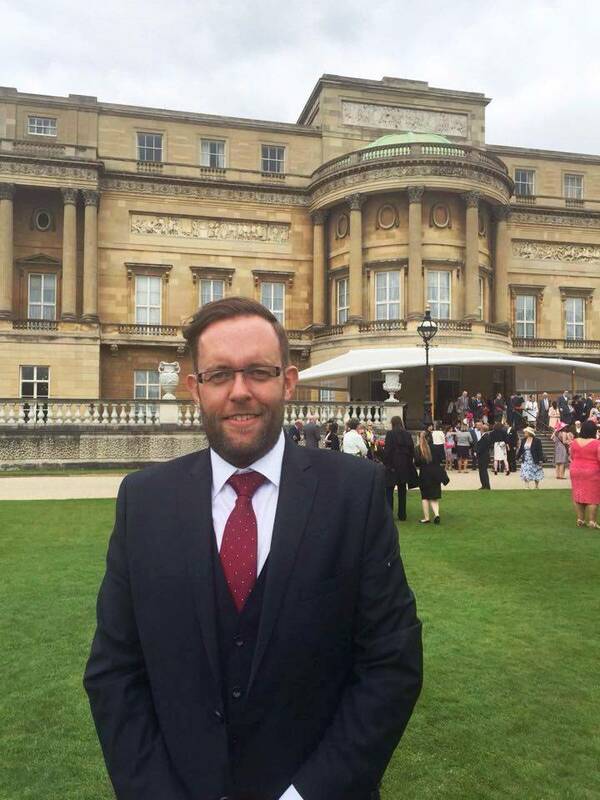 This week has been an extraordinary week for the Bayford Foundation manager, Nick Elletson – who represented the Foundation at a colourful and memorable Buckingham Palace garden party. Held to celebrate the 40th anniversary of The Prince’s Trust, which Prince Charles set up in 1976 to help disadvantaged young people, the tea party was packed out with some of the thousands of the charity’s beneficiaries along with volunteers, supporters and employees. Celebrity ambassadors included Tony Hadley of Spandau Ballet who has performed for the charity – and who Nick was definitely a little star struck by! The Bayford Foundation has developed and maintained a powerful partnership with the charity – supporting campaigns such as #togetherwecan, employing candidates referred by the Trust – and speaking at Prince’s Trust events. An afternoon tea of mouth-watering cakes and scones was served to guests and brass brands struck the right chord by further enhancing the upbeat celebrations. The Prince’s packed diary was scheduled to spend 30 minutes meeting young people that had benefited from the Trust – however he found many of their stories so captivating that it was an hour and a half before he stopped for a slice of cake. Nick said: “The garden party was a wonderful experience. Everyone who attended was involved with The Prince’s Trust which meant that the atmosphere was fantastic – there was a VIP tent for celebrities and Prince Charles but they spent the afternoon mingling with all the guests. We’re always recruiting for employees with the right attitude and commitment to join us as we continue to go from strength to strength. For more information on job opportunities available with The Bayford Foundation and The Right Fuelcard Company, call 0113 202 5129. This entry was posted in Bayford Foundation, Events, The Right Fuelcard Compnay and tagged Bayford Foundation, Buckingham Palace, Prince Charles, The Bayford Foundation, The princes trust, The Rightfuelcard Company. Bookmark the permalink.